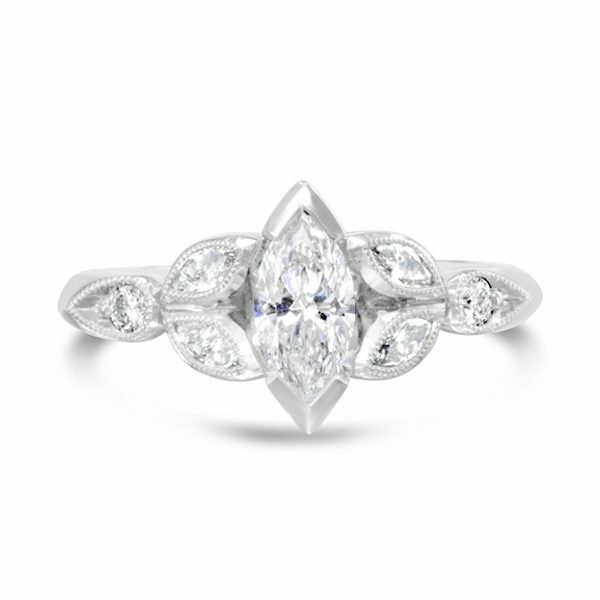 Handmade in platinum with a beaded setting edge this unusual Vintage Marquise Diamond Engagement Ring features a 7mm x 3.5mm marquise diamond. 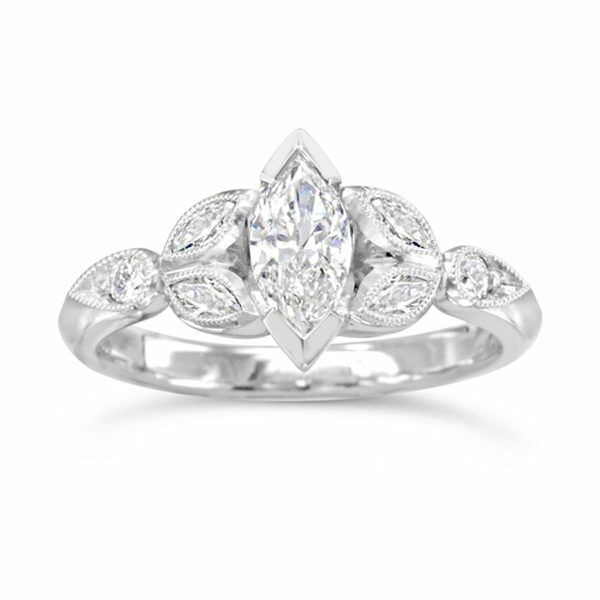 The central diamond is set between four 4mm marquise diamonds in a leaf pattern and a round diamond at both ends of the 2mm wide platinum band. 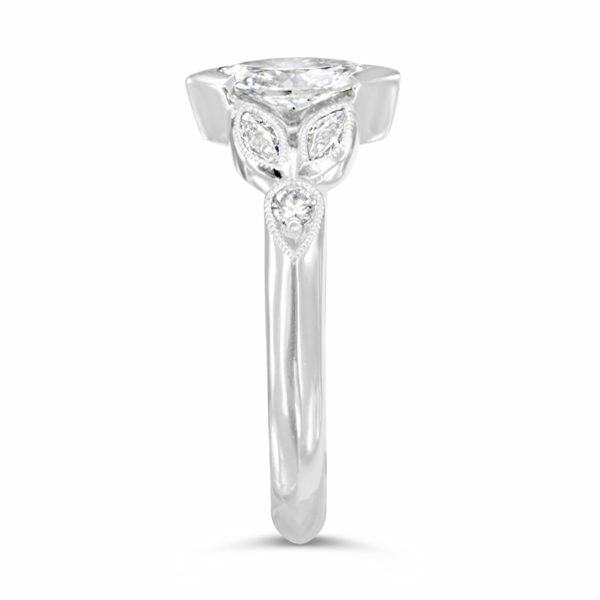 A lovely delicate engagement ring. 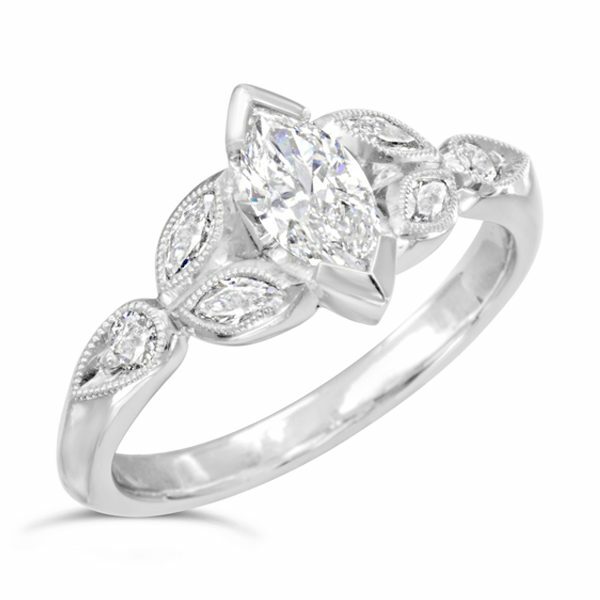 This ring can be made with different sized diamonds. It also looks lovely with a round or oval central diamond.